If you're going to take something back with you, you're going to want this token of your life's journey. 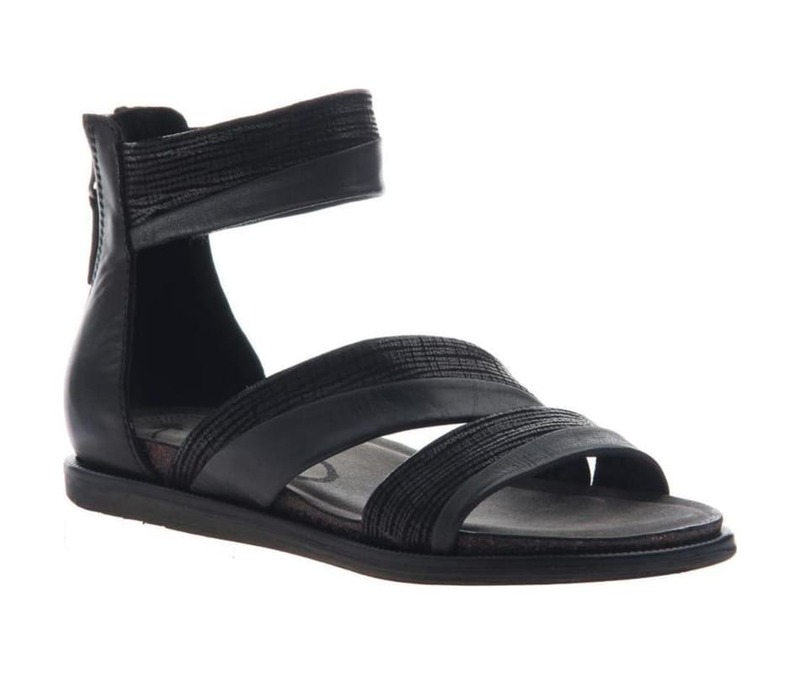 Souvenir is a classic summer sandal with alternating leather finishes. The back zipper makes it easy to slip on and off between journeys, and the memory foam and cradled footbed make it a comfortable choice for all-day wear.